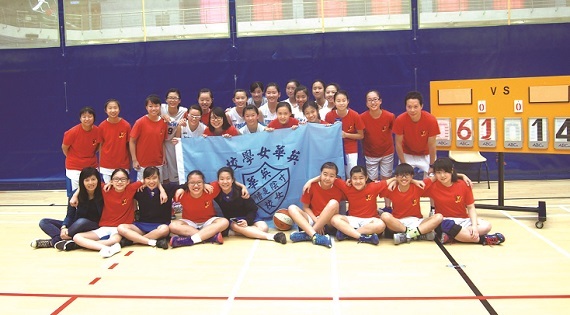 There are 7 sports teams in Ying Wa, namely Athletics, Badminton, Basketball, Football, Swimming, Table Tennis and Volleyball. 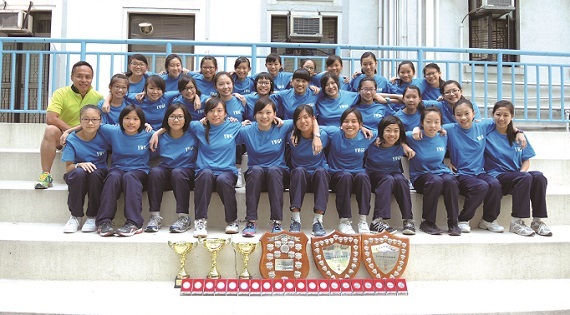 In a bid to prepare team members for keen competitions, intensive training is scheduled throughout the term. Every year, new team members are recruited and training classes are conducted to unlock the potential of talented athletes. 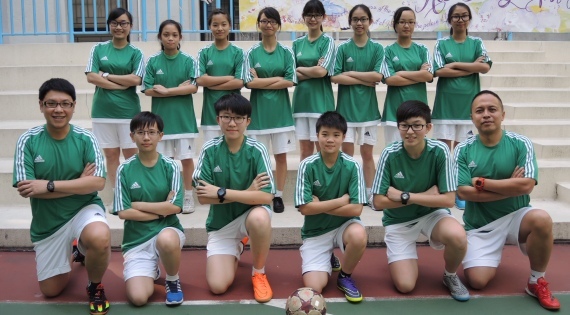 Not only are their physical skills sharpened, but their discipline, confidence, sportsmanship and team spirit are also nurtured. 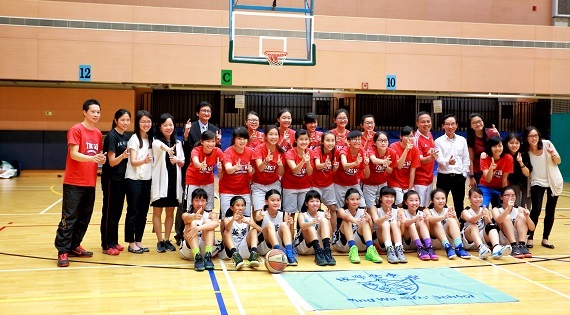 Training camps during long holidays are getting increasingly popular as a way to improve sports team members’skills, physical fitness and will power. 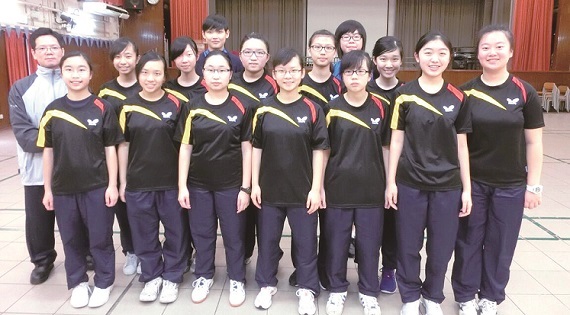 Different teams have been to various Asian countries, such as Thailand, Malaysia, Taiwan and mainland China to undergo training and join friendly matches. 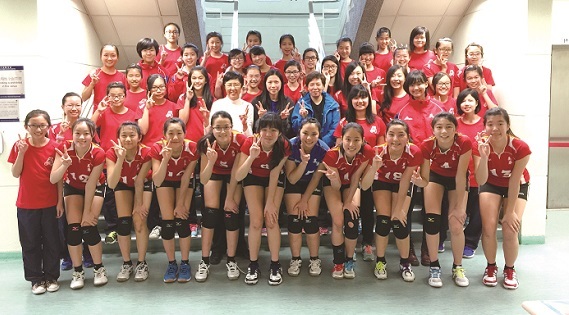 Special thanks must be given to Mr Simon Lau, a local businessman, for his generous sponsorship, which has allowed the Volleyball Team to gain valuable experience and training opportunities abroad. 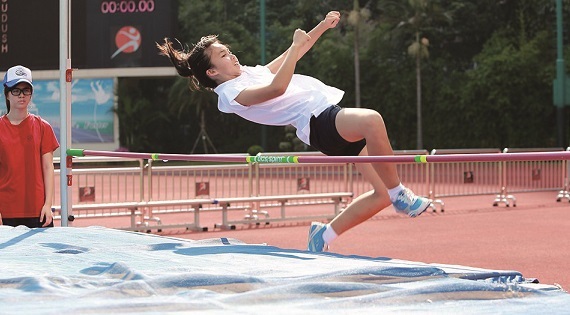 The Athletics Meet is usually the climax of the sports scene at Ying Wa. 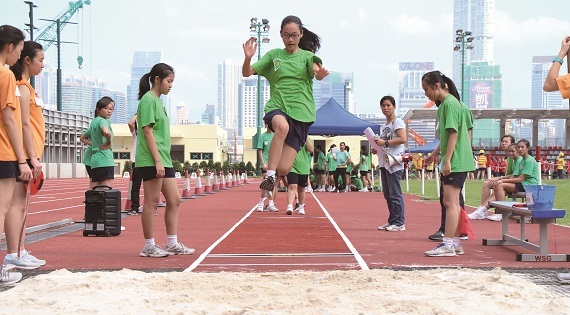 This year’s Sports Heats Day was held on 15 September 2014. 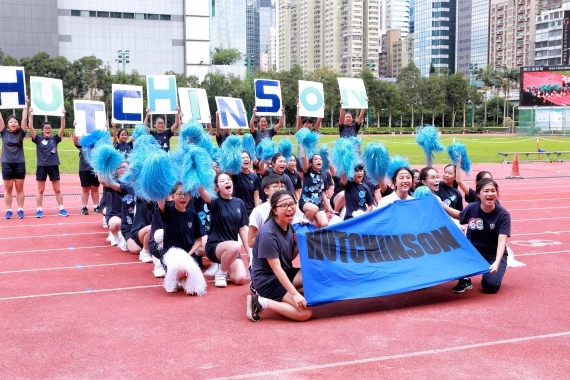 Although there were no cheering team performances by S1 students, spirits ran high when all chanted slogans to support their house members. Unfortunately, the Finals Day was called off on account of adverse weather. 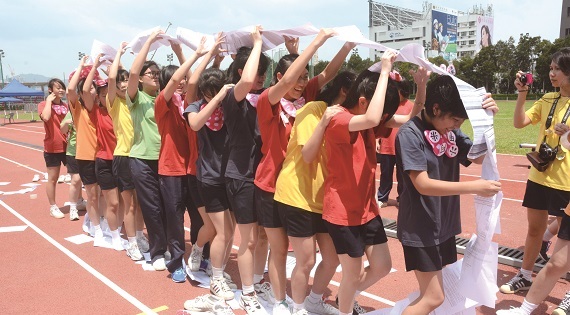 One of the highlights on sports day was the Graduation Cup. 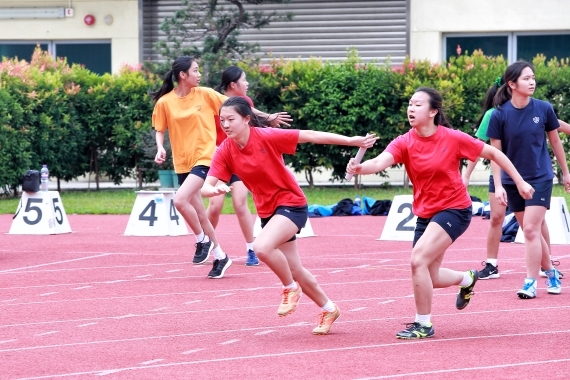 Through interesting obstacle races, S6 classes were drawn together to show the force of solidarity. It was certainly a memorable event for all graduating students. 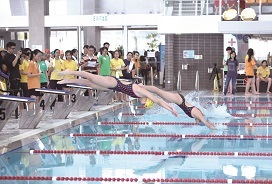 With the cancellation of the Athletics Meet Finals, all eyes were set on this year’s Swimming Gala on 20 March 2015. Mr Huen, our Economics teacher, gave an inspiring opening speech about his swimming experience. 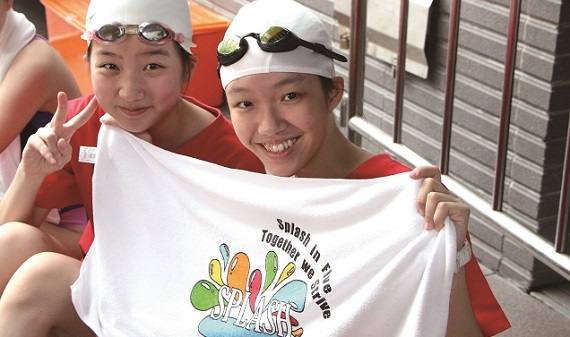 He encouraged us to be serious about swimming as well as learning, approaching both with passion and perseverance. 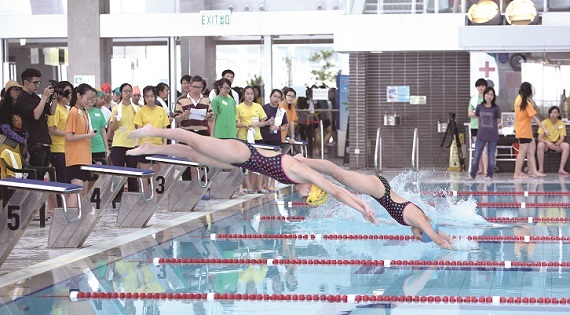 Records were broken in various events, including the 25m Front Crawl (B Grade), the 50m Front Crawl (C Grade), the 25m Butterfly (Open) and the 4x50m Freestyle Relay (Open). 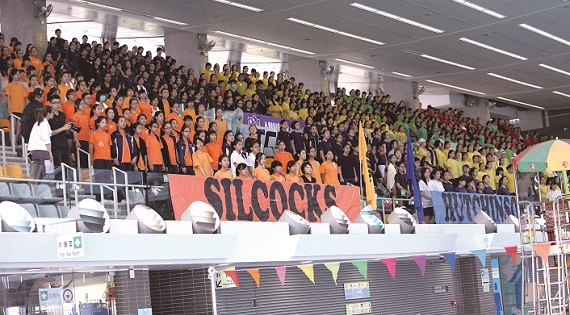 Praise must be given to the cheering teams, who shouted hard and waved colourful towels prepared by the Inter-house Committee to boost the spirits of competitors. 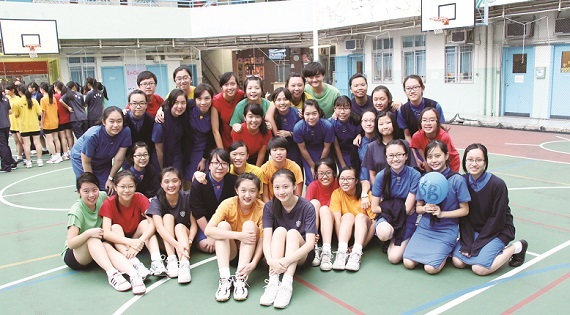 In a bid to promote class spirit and the love of sports, an inter-class competition “GUSTO” was organised by the Sports Committee in late autumn. 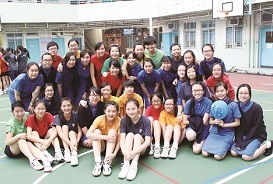 A mini-tournament involving dodge ball and obstacle races, it brought classes together in challenging and fun combats. Participantswere very much engaged, savouring happy moments of class union. 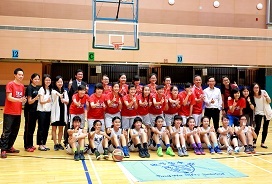 Through these games students learnt the importance of collaboration and sportsmanship. 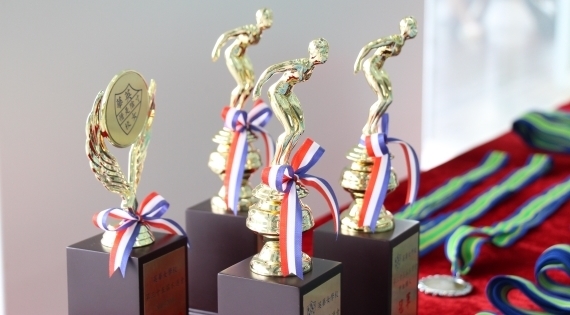 With frequent training and dedicated support by our teacher advisers and coaches, our young and fit athletes have battled with their best endeavours, scoring impressive results. 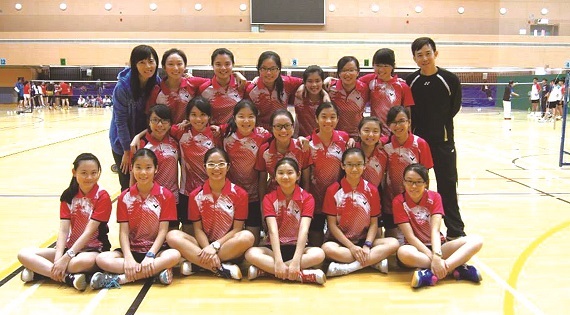 The Volleyball Team and the Basketball Team are both top of their leagues, winning a number of fierce competitions. 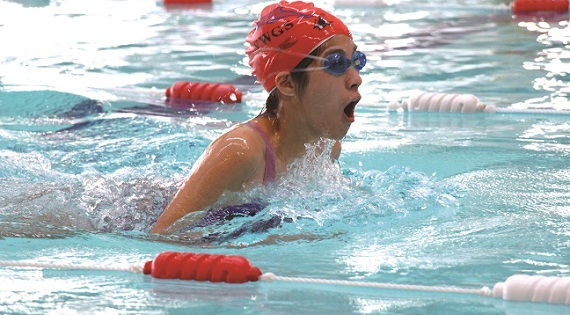 The Swimming Team is entering Division One. 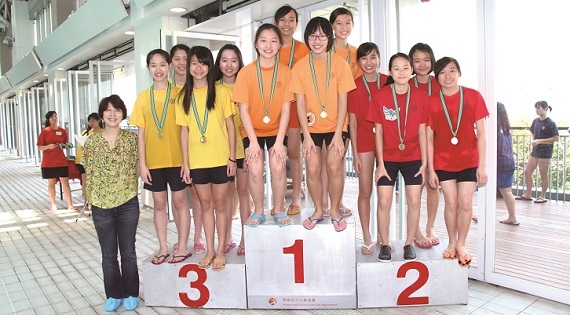 The Athletics, Badminton and Table Tennis Teams have also performed well and won prizes in various sports events.